Heaven just gained a Total Entertainer. The entire Pinoy entertainment world was shocked as news broke out that OPM legend, Rico J. Puno, had died on Tuesday morning due to cardiac arrest. The Total Entertainer had been suffering from heart problems for years now; he underwent open heart surgery in 2015, and then had an angioplasty two years later, as well as a new pacemaker. Yet despite his condition, his daughter, Tosca, said that the singer was "still in high spirits last night and looking forward to his shows and the ABS-CBN Station ID shoot." 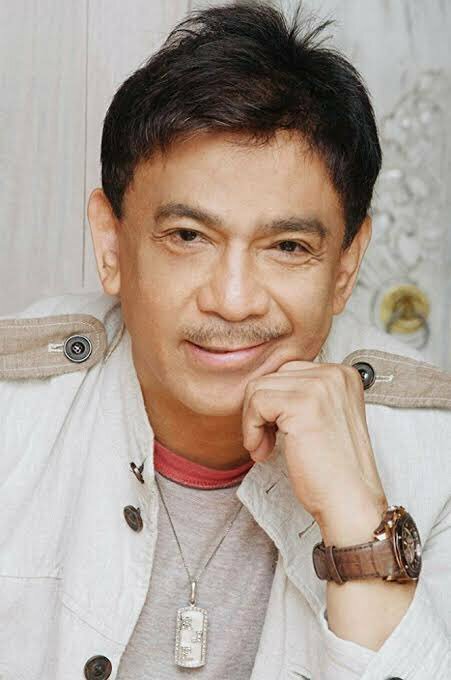 With a distinct voice and charming personality, Rico J. Puno is known for 70s hits "May Bukas Pa," "Macho Gwapito," and "Sorry Na Pwede Ba" among many others that has influenced generations as well as fellow artists in the industry who have set an outpouring of love and support on social media. I grew up with you. Actually singing in the same concerts that Vicor and Blackgold put together for all their artists, with you. I had no idea then that I was singing with one who would become a true LEGEND. The Total Entertainer, the funny, always down-to-earth guy who was always humble and in the forty years I’ve known you, never, ever changed or let success go to your head. I hated when you would make green jokes but loved that they made people laugh. You were a true gem of a talent, and person, dearest Kuya Rico. We and the whole entertainment industry have just been turned upside down by your passing. Thank you for being so sweet and loving to me. Daddy loved you and I know you loved him too and made him laugh, so thank you also for that. Mahal kita, Kuya. Salamat sa sinabi mo not just once na I had “one of the prettiest faces.” Muntik na akong maniwala pero mukhang seryoso ka naman. Huwag masyadong bastos ang jokes sa taas ha Kuya baka ihagis ka ni Lord pababa hala! Seriously, we will never be the same...we miss you already. Rest in peace, the great RICO J. PUNO. Our most loving and deepest condolences to your family. May God give them strength during this painful time. I will miss you dearly. I love you. A legend, ever and always. You will be missed. Rest in peace, Koriks. Do you have a favorite song by Rico J. Puno? Let us know in the comments.